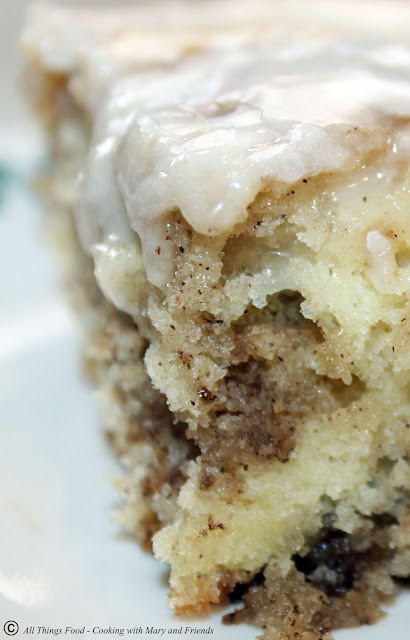 Imagine all the taste of a cinnamon roll in a cake format! Oh my, when I first saw this recipe, I just knew I wanted to make it. What could be easier than this? One large sheet pan full of deliciousness, perfect for breakfast, dessert or an after-school snack. 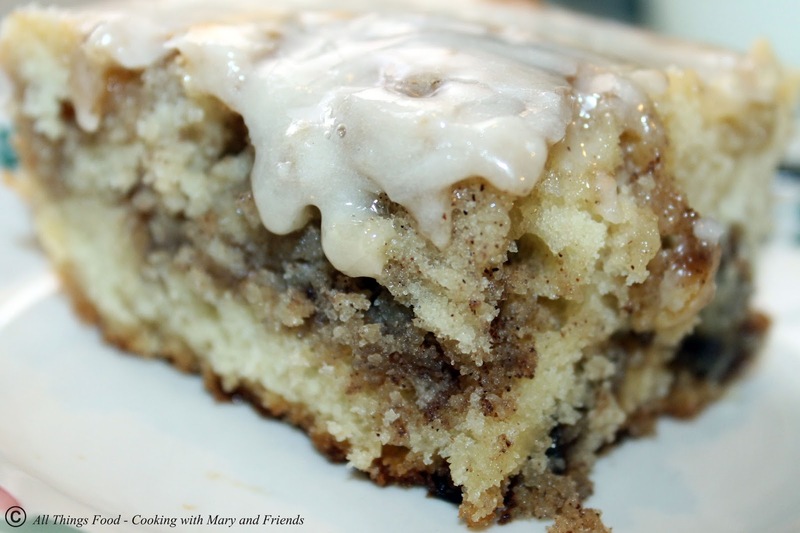 Cinnamon, brown sugar, buttery goodness! Preheat oven to 350 degrees. 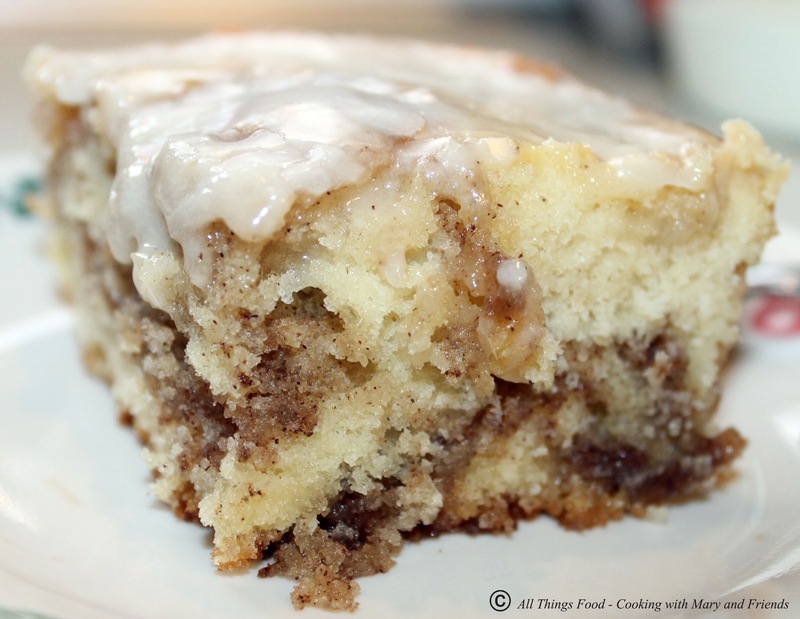 Spray a 9×13-inch glass baking pan with cooking spray and set aside. In an electric stand mixer add the flour, salt, sugar, baking powder, milk, eggs, and vanilla. Once combined, slowly stir in the melted butter. Pour mixture into the prepared 9×13-inch baking pan. For topping, In a large bowl mix the 2 sticks of butter, brown sugar, flour and cinnamon together until well combined and creamy. Drop evenly over the batter by the tablespoonfuls and use a knife to marble/swirl through the cake. Bake for 30-35 minutes or when a toothpick inserted near the center comes out nearly clean.